the benefit of the treatment every time. ‘Time spent with Rachel is enlightening, healing and fun. ‘I couldn't believe the instant, drastic change. Rachel's bodywork and training is informed by her background in dance, movement and professional performance training. She re-learnt how to walk, sit and stand using neuroplastic somatic practices Alexander Technique and Feldenkrais Method, which permanently relieved her of chronic lower back pain, jaw and neck tension and changed her life. ​She trained in remedial massage therapy at the College of Classical Massage﻿ in Brighton UK and is a Reiki Master (Ursui lineage). She has since explored many other body work modalities and somatic movement practices that continue to evolve her methods. She is passionate about continuing her enquiry with current research and is fully insured. She is currently in the middle of a four year Feldenkrais Practitioner training program. 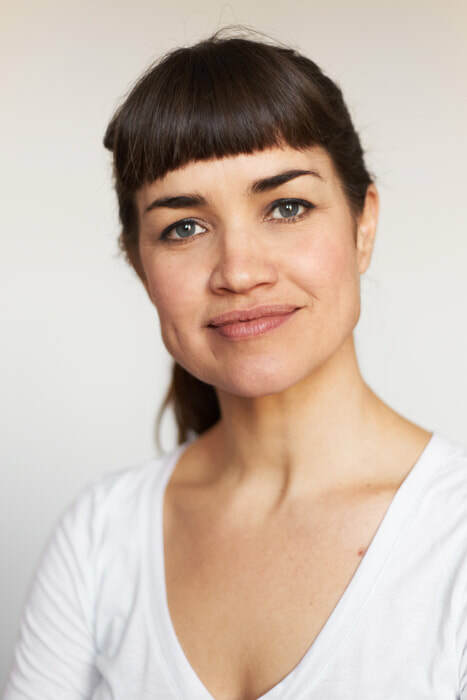 Rachel works as a trainer on the Embodied Facilitators program, equipping coaches, trainers and 'body' people to work safely with the body in business. For Rachel's theatre making and performance work, please go here.